> First Steps>Sneakers>New Cotton canvas bamba shoes with toe cap and shoelaces. New Cotton canvas bamba shoes with toe cap and shoelaces. New cotton canvas sneaker or bamba type shoes with shoelaces and toe cap. SIZING SMALL. More info about New Cotton canvas bamba shoes with toe cap and shoelaces. High quality Bamba or Sneaker type shoe with shoelaces and toe cap for kids. With shoelaces for a better grip. Made up of 100% natural high quality cotton canvas. Mede up of seasonal colors. Mix and macth with all their garments this summer. 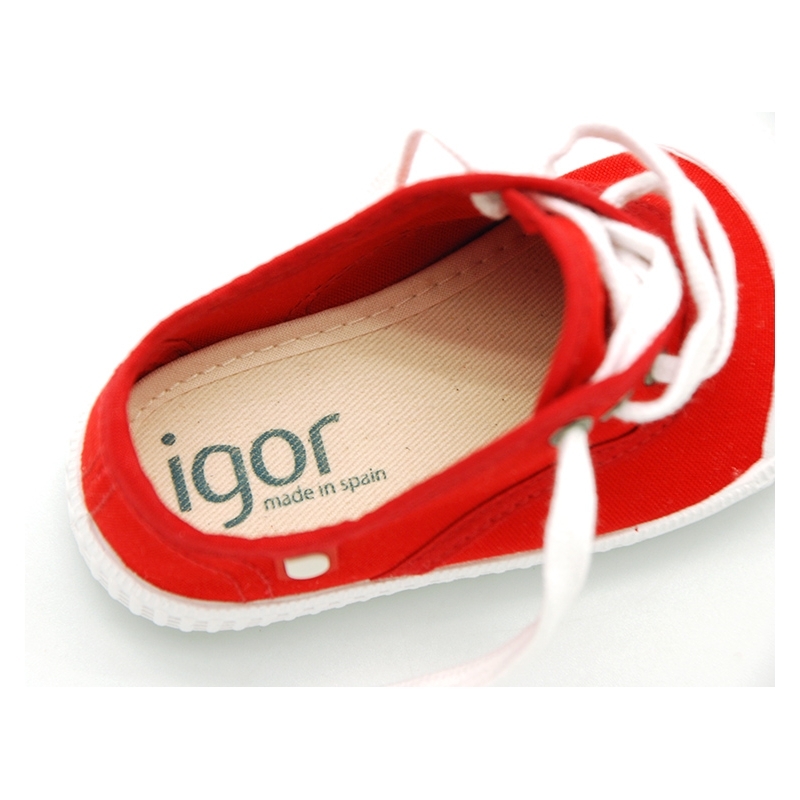 ItÂ´s an LIMITED EDITION of IGOR shoes brand with high quality design and finishes. Perfect shoes for day a day basis. Fully lined, edged and padded cotton canvas footbed for a better comfort and a good perspirtation of their feet. Outsole made up of non-slip high quality rubber with reinforced toe cap and totally flexible in order they can walk and play withour problems. Available in 3 colors. Sizes range: from 18 Euro Size up to 34 Euro size. SIZING SMALL, WE RECOMMEND TO CHOOSE A BIGGER SIZER TO REGULAR ONE. Data sheet about New Cotton canvas bamba shoes with toe cap and shoelaces.